Support local – treat yourself to these fabulous chocolate bars, made right here in Raleigh!!! BeyondBlue’s personal favorite is The Sea Salt Bar, but try a seasonal Pumpkin Seeds & Guajillo Chile bar to enjoy the spice of autumn. 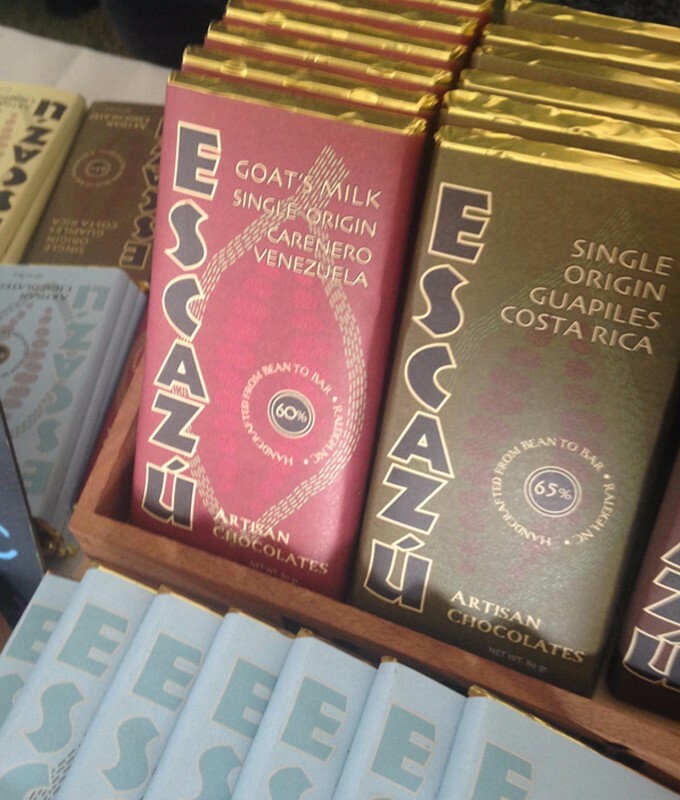 Escazu Chocolates have been handcrafted in downtown Raleigh since 2008. They work closely with an Organic farm in Costa Rica, and travelled to Venezuela to meet the family who provides their fine Venezuelan cacao. After the lengthy process of bringing the beans into the US, they use an antique (1920’s) roaster and stone grinder to make the finest chocolate in a traditional method. After an aging process, they handcraft bars and a continually evolving selection of confections. Bars range from $6.50-$7.50.